As Food 52 explains in the link below, popping the dough in the fridge keeps the butter nice and firm (which keeps it from sticking to your work surface) but it also makes the dough kind of hard to manipulate. Often, by the time you've got it worked into a sheet, the dough has started to warm up again, and you're in a sticky situation. Luckily, there's a super elegant solution: just roll your freshly mixed dough out between two sheets or parchment paper and then stick it in the fridge to chill. 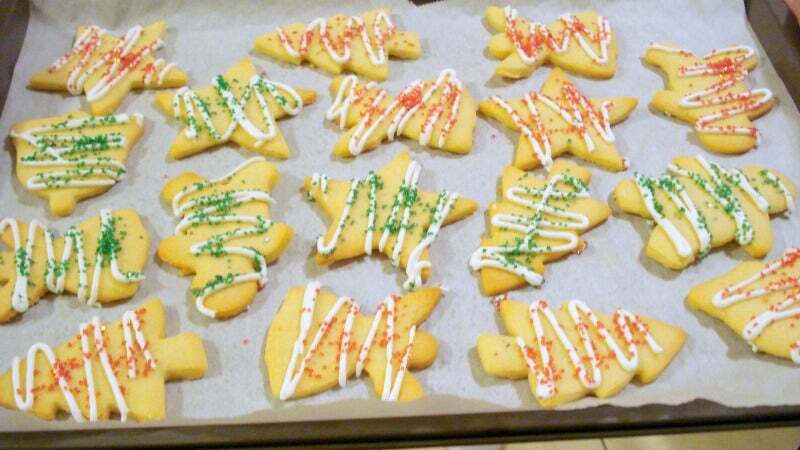 Once it's firmed up, simply remove the top sheet of parchment, cut out your festive shapes, and bake as usual.